I know it’s been quite a while since my last blog. I would apologize…and truly I wish I could have kept up, but life got overwhelmingly busy and SOMETHING had to be put aside for a season: and most of my internet-related activities were “that something” that had to be put aside. And then, the several months of 4-5 hours a day of sleep really caught up with me…and as much as I regretted having to do it, I had to back off on training…then within a short amount of time, “the backing off” turned into a “semi-planned lay-off from training,” because of life constraints. As much as I tried to fight it, and as much as I forced myself to train, my body just couldn’t handle it anymore. “It’s just for this season,” I told myself. Now that that season has passed and I am now entering a new season of life, training has been coming to be one of the more prominent thoughts in my mind of “things I want…no, I need to do.” However, as I pursued it, roadblock after roadblock made it very difficult to even get moving into the most basic of training. Simply put, something always happened that threatened to prevent me from training. Seriously. It was like all the spiritual forces of darkness were trying to make it nigh impossible to simply train. It would have been all-to-easy to simply roll over and just say “forget it,” but I just wouldn’t let myself quit. I wanted it too badly. (Now, bear in mind that before all these changes happened, my style of living was “Make a radical change quickly and completely…deal with the issues as they arise,” however, these days my choices impact more people than just my wife and I…and carry a wider scope to what and who else is impacted. These days, I liken a busy life like a well-stacked pile of pebbles. As we juggle busy lives full of family, work, service and good works, we learn that sometimes even the smallest additional pebble hastily added to our stack causes the entire pile to crumble. 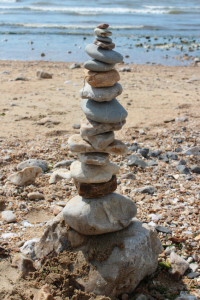 We have to sometimes add the pebble gingerly, watching it carefully and adjusting it as necessary until it sits properly and does not cause the stack to topple. Then, we can try to add the next pebble. While I fear many guys will use what I am about to say as an excuse to not get their lazy butts off the couch or to not pry the controller from their tendon-locked-fingers, lots of us actually do have legitimate reasons for not training. 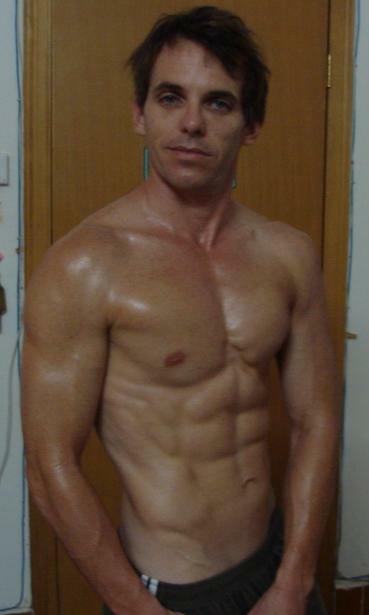 When we take away the “time wasters” some of us actually STILL have major challenges to deal with then it comes to consistently training and getting our diets in check. 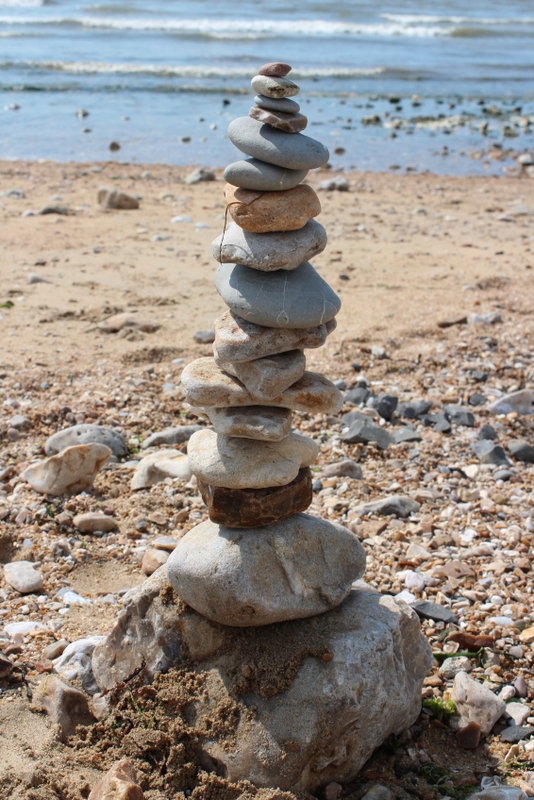 In short, our pile of pebbles is stacked precariously as it is, and another few pebbles added hastily and simultaneously will most likely topple the stack…so the solution is to add one pebble at a time. Add each pebble cautiously and “feel it out” before adding another pebble. Make sure that the pile is secure before seeing how to add yet a new pebble. 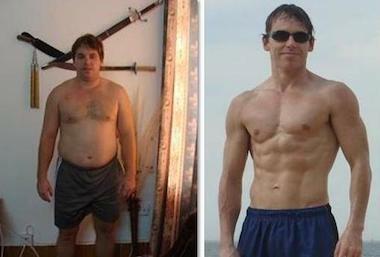 If you are delaying a diet because too much is going on to focus on it…start simply. Maybe intermittent fasting (like Eat-Stop-Eat) is something you would be interested in…or maybe as simply as drinking a few glasses of water before each meal would help curb your appetite. Taking things slower and more methodically can indeed be implemented in a long-term strategy to attaining our goals and sustaining them. And if you have tried to figure it out, or don’t know where to begin in figuring it out, our coaches (of whom yours truly is one) have experience helping hundreds of men (and women) “work around” their life constraints and to achieve great results. Sometimes it DOES take an outside view to get a straight path and to help us to stay on it.